Want to guarantee your Internet link is up no matter what happens? Want to stay connected even when your ISP has networking problems? Link load balancing improves application delivery response times across networks and increases overall throughput of server resources. Link load balancing increases performance of an organization's network applications, and end-users will benefit from higher productivity and return on investment. Link load balancing primarily handles the even distribution of data and applications across a network and its multiple user devices. An enhanced intrusion prevention system is also a common advantage of link load balancing. With these added benefits, businesses can provide end-users with network maximum performance while relieving processing strain from servers. Radware LinkProof significantly improves the performance of your network. Skip bottlenecks, avoid outages, manage bandwidth consumption and ensure your network is always ready to perform. For increasing the reliability and security of your network, Radware LinkProof is the right choice. Radware LinkProof avoids unnecessary additional bandwidth costs by allowing multiple branches to have consistent and reliable network performance. The server-less branch architecture provides the availability and security needed for a cost-effective and agile WAN. 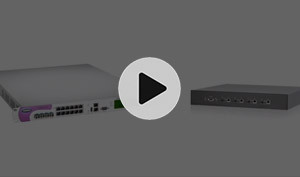 Learn more about how LinkProof uses the innovative On-Demand Switch platform to optimize your network.